Description: Sound goes in and out. 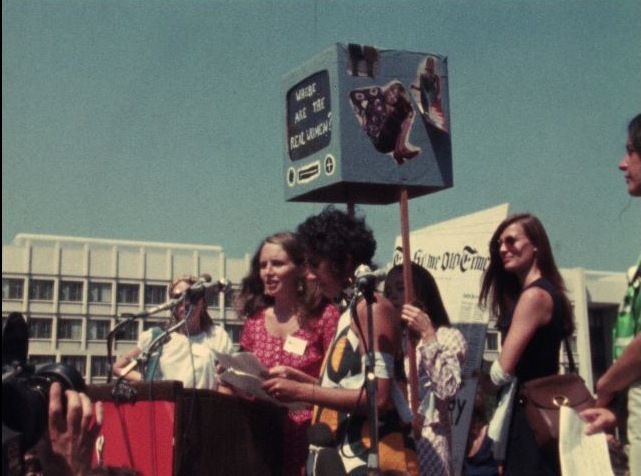 Members of the Women's Liberation Movement leave the Harvard building (888 Memorial Drive) which they took over, renaming the "Boston Women's Center." The police enter the building. Interview with a man on the state of the building after the women left. Description: Compilation of footage concerning women's liberation. People parachuting. A ceremony honoring servicewomen. Auditorium full of people. Exteriors of Harvard building (888 Memorial Drive) taken over by women and renamed the "Boston Women's Center." 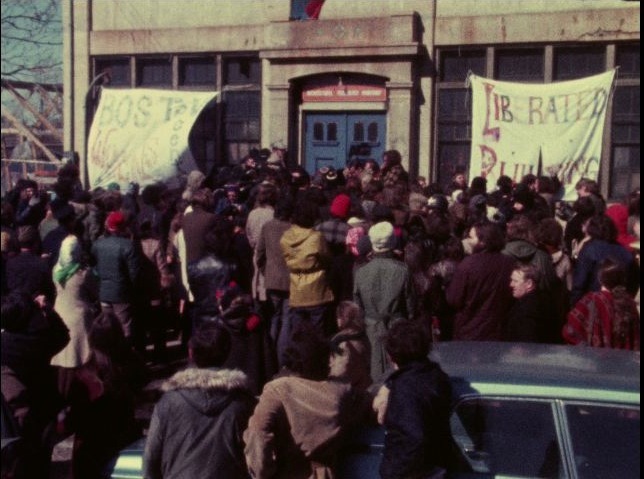 Crowd of children outside the taken over building. People outside the door to the Massachusetts House of Representatives Gallery. Governor Frank Sargent outside of the State House, with women addressing crowd about women's liberation. Older people eating meals in a cafeteria. Friends of Louise Bryun Walk for Peace gathered at Copley Square and march through downtown Boston. Louis Bruyn is a woman who walked from her home in Newton, Mass. to Washington, D.C. to protest the Vietnam War in 1971. Exteriors of the Boston Public Library. People on benches at the Boston Common. Women, and a few men, at a banquet. Riverside community resident holds a press conference. Dormitory, possibly a women's prison. Press conference in front of "Boston Women's Center." Exteriors of Old Cambridge Baptist Church. Exteriors of Lyons Hall and other campus environs at Boston College. Women march out of "Boston Women's Center" with banners. Women wrapped in blankets guard the door. Closeups on the electric box outside the building. International Women's Day demonstration on Boston Common in front of the State House. 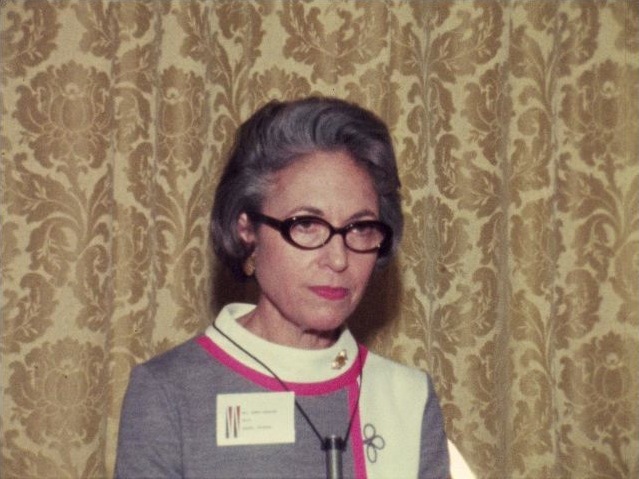 Women speaking at an event. Description: Women's rights march on Beacon Hill and through downtown Boston. They gather at Government Center plaza. Woman sings women's rights folk song. Cuts of women speaking at a podium, especially about the issue of equal pay. One woman in the crowd argues that women already have more rights than men and criticizes the women speaking at the demonstration. Young people do a skit on stage. Closeups of people in the crowd, and signs with women's rights slogans. 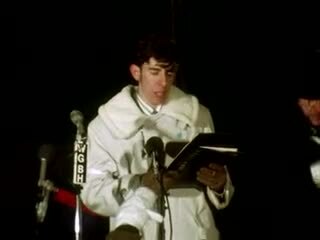 Quick clip of Governor Sargent speaking in the crowd. Rosemarie Van Camp does several takes of reporter standup. Sounds goes in and out throughout the video. Description: The Women's Liberation Movement is demonstrating to have the celebration of George Washington's birthday to a celebration of Susan B. Anthony's Birthday. Footage of movement members talking to crowds of people and getting people to sign petitions. Images of Susan B. Anthony. 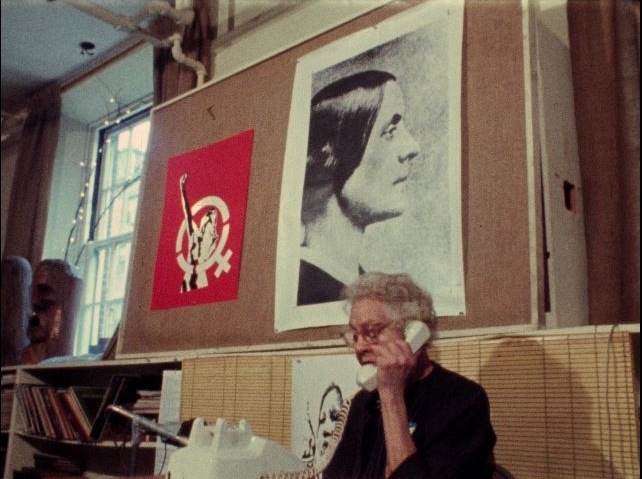 Description: Women in Harvard building (888 Memorial Drive) that they took over and renamed the "Boston Women's Center." Men outside the building trying to talk to the women and get in the building. Huge crowd of students outside the building offer support. Harvard Square environs. Rally at Holyoke Center and Harvard Yard. Group of students criticize the women's building takeover. Harvard police break up a rally outside the taken over building and make announcements over megaphone. Harvard administration official leaves papers at the building. Riverside resident holds press conference about her connection to the takeover and her complaints against the city, especially police violence. People getting food from a lunch truck. Several takes of reporter standup. Women go in and out of building. loading things into vans. Two women kiss in front of building. Mailman tries to deliver mail, women refuse it, and discuss it with him. Outtake of reporter standup. 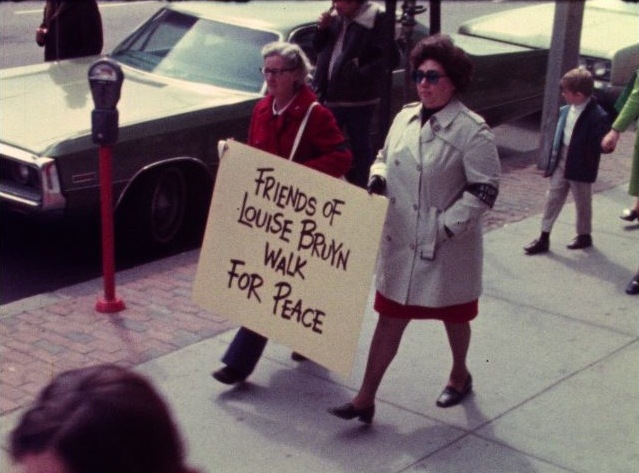 Friends of Louise Bruyn Walk for Peace on the Cambridge Common and Beacon Hill. Louis Bruyn is a woman who walked from her home in Newton, Mass. 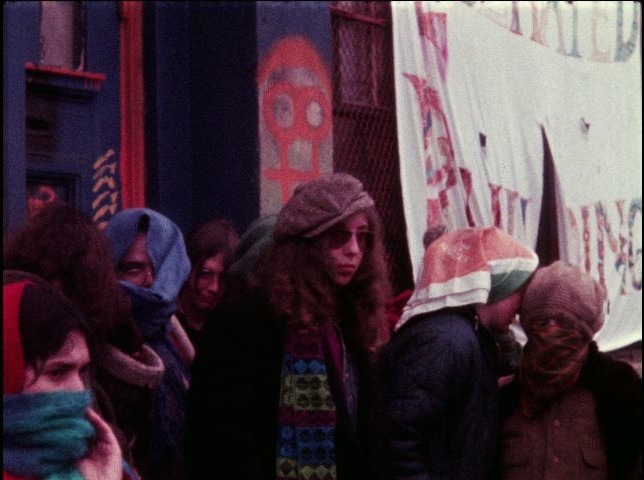 to Washington, D.C. to protest the Vietnam War in 1971. Priest prays with the crowd. Massachusetts legislators address the crowd in support of their cause. Description: Women at tables listening to speakers. Interviews with three New England female mayors, including Ann Ucello, first female mayor of Hartford, Connecticut. They discuss urban policy and the challenges of working in a male dominated field. Rosemarie Van Camp wraps up story. Following the air piece, there is silent b-roll of the mayors addressing an audience of women, additional takes of reporter standup with sound, and outtakes from the interviews with sound. Description: Young Americans for Freedom rally. People march carrying picket signs and American flags. An American military officer speaks to the crowd about every American's responsibility for the military officers overseas. He also asks them to support the war against North Vietnam. A young man speaks to the crowd, asking them to support bringing the troops home and better treatment for those captured in battle. Al Capp addresses the crowd, speaking the need to support captured soldiers no matter what opinion you have about the war overall. 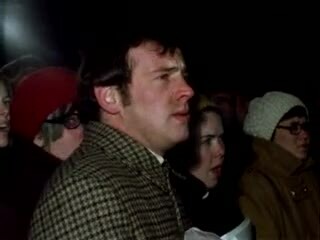 Description: Silent footage of the crowd at the the Young Americans for Freedom rally.